Any sailing dinghy is welcome at Trimpley (subject to a couple of rules), but most of our members sail in GP14s, Lasers and Toppers. The club owns a variety of boats which we use during training courses and are available for members to hire. Designed in the 1950s as a build it yourself boat, the GP14 quickly became a popular sailing dinghy, making sailing accessible to a wide variety of people. It is 14ft long, has 3 sails and is normally sailed with by 2 people. It’s a great all rounder (GP stands for general purpose), perfect for adults to learn the basics of sailing, going for a relaxing cruise or for racing, with strong fleets across the country. 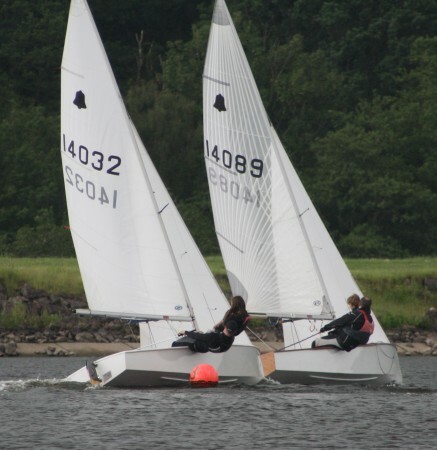 The club has 2 GP14s, often used by our newer members before they purchase their own boat. You probably won’t find a sailing club anywhere in the world where a Laser isn’t sailed. One of the first boats to be mass produced, there is no other class that can match it for worldwide popularity. Sailed at the Olympics by the likes of Ben Ainslie, Paul Goodison and our own Alison Young, it is a single handed design (so one person sails it) and has 3 different sail sizes that can be used depending on wind strength and sailor weight. 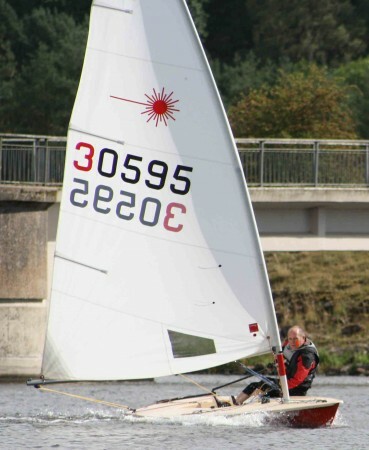 Normally the largest standard rig is used at Trimpley; the other sails are the Radial, used in women’s Olympic racing and youth racing, and the 4.7 used by some younger sailors. The club has 3 Lasers and all 3 rig sizes available. The Topper is another international class with strong racing fleets. 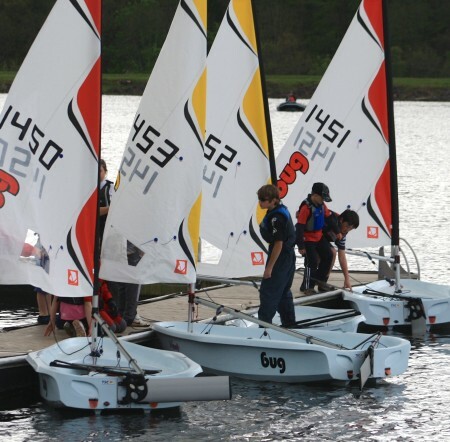 It is a single handed boat, smaller than a Laser and so ideal for youth sailors; this is often the most popular class at youth events and most youth sailors will spend some time in it before moving into the Laser. Its design also makes it very durable making it a great boat for youths to learn to sail in. The club has 3 of these, used both for training and racing. 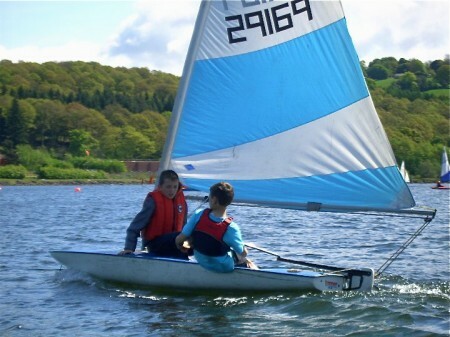 A relatively new boat, it’s ideal for juniors to learn the basics of sailing in. Lightweight, durable and simple to set up, it’s a modern boat that kids just love to get in (and dive out!). The club has 4 of these boats which are mainly used for training, but can be raced as well. The Oppy is a popular junior boat used worldwide for teaching kids to sail. Very stable, it’s still one of the best boats for introducing kids to sailing. You’ll also find strong junior racing fleets worldwide. The club has 2 Oppies which are used mainly for training.